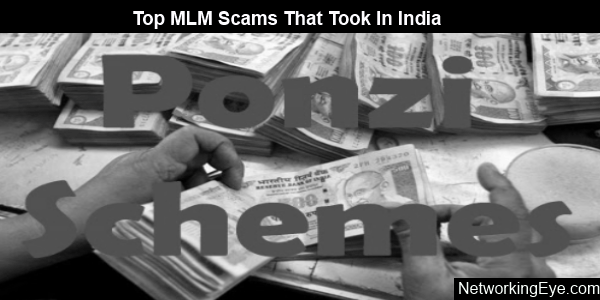 Due to the lack of legal framework in India for mlm companies, lots of ponzi schemes have looted gullible people in India. Still some of them have disguised with different names and business plans from time to time. Here is the list of some of those the scam companies. The massive fraud made by the Singapore based marketing company Speakasia online limited encouraged a huge population of investors to enroll in a quick rich scheme and collected Rs 2,200 crore from 2 lakh people. Investors who wished to invest Rs 11000 annually were promised about their investment to be recovered within three months. Investors received a password for opening an account on the company’s website. Two survey forms were shown in each participant’s account. By fulfilling these forms, participants were said to receive Rs 4000 per month and Rs 1000 was fixed per person for referring the same scheme to others. They were assured for an annual payment of Rs 52,000. The whole operation and survey was certainly false. 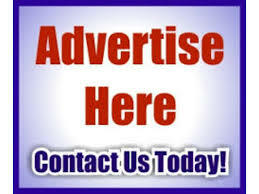 Speakasia used multiple fake schemes and programmed service plan to expand their business for personal profit. In the year 2010 Stock Guru India tempted investors by promising twenty percent of interest per month on their investment and also refunding the primary investment in seven months. The mastermind behind this public luring plan was Ulhas Prabhakar and his wife Raksha are serving their term behind bars. The I-T official of Stock Guru, Yogendra was arrested as well. The pair presumably tricked around two lakh investors from seven states. Soaking investors all investment. This case took another turn when a senior income tax official was removed from the finance ministry for accepting bribes to cover the scam. The counterfeited scam almost collected Rs 500 crore. The administration was able to confiscate Rs 83 crore from the couple’s possessions. A chit fund company who acquired advance payment from investors in the name of lands and houses. The group was also attracting investors with money back preference. According to the report scam involves the swindling of Rs 2,700 crore. Almost eighty percent of the total investors lost their money. The group was operating four different companies for summoning money through three structures that included fixed deposit, recurring deposit and monthly deposit schemes. Group was also tempting investors with the assurance of property and foreign tours. The chairmen of the group Sudipta Sen is currently serving for three years in prison by a Kolkata district court in some other fraud case. Saradha Group leader Kunal Ghose and Debani Mukherjee have also been accused and arrested. The case is now under proceeding of Supreme Court. The case probed by the Enforcement Directorate against Qnet and its founder for MLM scams of total Rs 425 crore is under investigation. Case for money laundering against the Hong Kong based direct selling company has also been filed. Qnet has been alleged of duping investors by offering to sell products like magnetic disks, herbal products and holiday schemes through deceitful practices. The alleged have been accused under sections of the Prize, Chits and Money Circulation Schemes Act 1978. The MLM running by QuestNet and GoldQuest had to close in 2009 because of facing strict legal actions. They came back with the new name QNet and proposed fake Ponzi schemes to attract investors. A website named TVI express setup by Tarun Trikha which guaranteed luring offers to its members in exchange of huge cash returns. Like any multi level marketing investors had to employee more people to get linked with the scheme. 15000 Rs. was the membership charge which was assured to be doubled if two persons were added in the chain scheme. And that was not it, Rs 5 lakh was promised for engaging 64 investors at one time. Investors never received any money and around one lakh investors were linked with this scheme through the TVI’s website. The con master, Tarun got arrested last year and only Rs 100 crore was discovered to be the scam amount which doesn’t match with the investors investment calculation. Currently he is serving sentence along with his few family members.